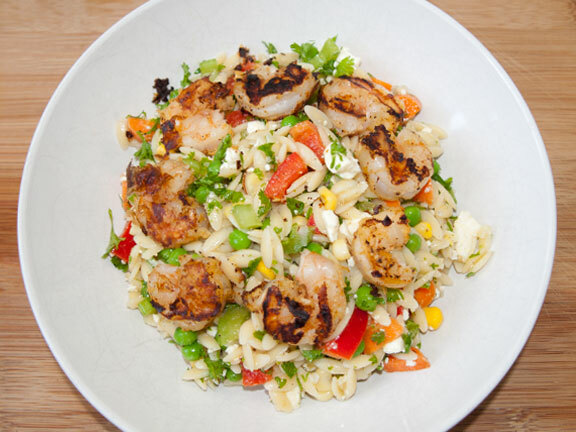 Mix shrimp with marinade and allow to rest in fridge for at least an hour. Pre-heat grill and cook shrimp until heated through. I may be the only person still using the little Champ Grill by George Foreman, but I love it! 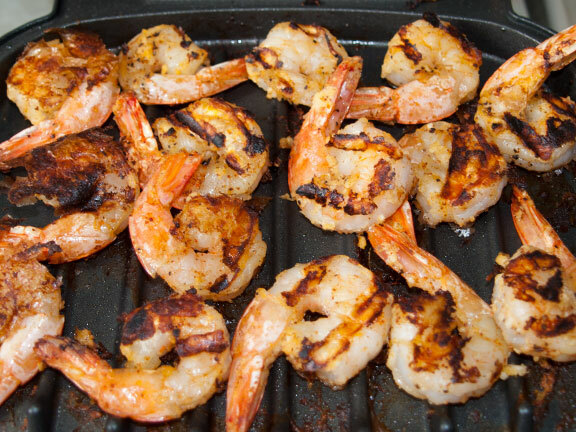 It cooked both sides at once, so the shrimp were evenly charred in a few minutes. Maybe less, I probably overcooked them. But don't they look yummy? Okay, this is barely even a recipe! Use a damp paper towel to brush any dirt off the portabella mushroom. Then use a spoon to scoop away the gills, which are said to taste a bit too earthy. Brush both sides with olive oil and sprinkle with salt and pepper. Cook in a pre-heated Champ Grill by George Foreman for 4 minutes. Slice and serve. 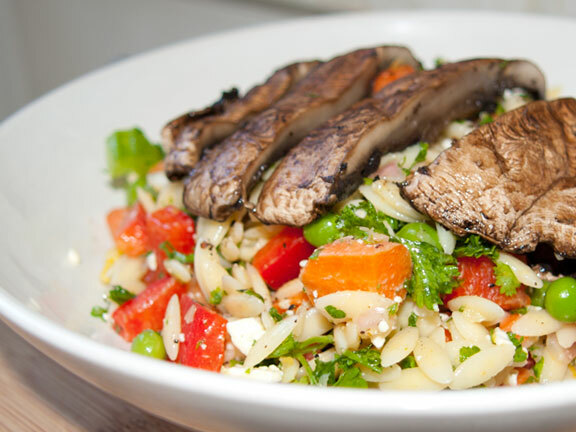 For the recipe to this orzo salad, see the post above. All photographs copyright © 2011 Jasmine Habart.